Situated in an attractive country garden in Swerford, Oxfordshire this National Trust Ickworth Summerhouse has been installed to use as a wonderful summer house to sit and relax inside, while admiring their garden. At 3.0 x 2.4m, this is the largest size of Ickworth we make, and there will be plenty of room inside for the customer to arrange a couple of chairs and a small table for a comfortable set-up. 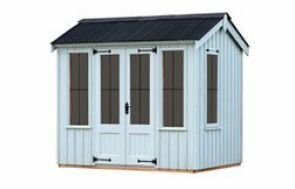 As part of the National Trust range, the Ickworth is a traditionally styled summerhouse with a beach-hut feel to it, with an apex roof, and roof overhang, double doors and two opening windows. The traditional features included a corrugated sheeting for the roof, leaded windows, cast iron Fleur-de-Leys style door and window furniture, and the external cladding is made from roughly cut, vertical boards. 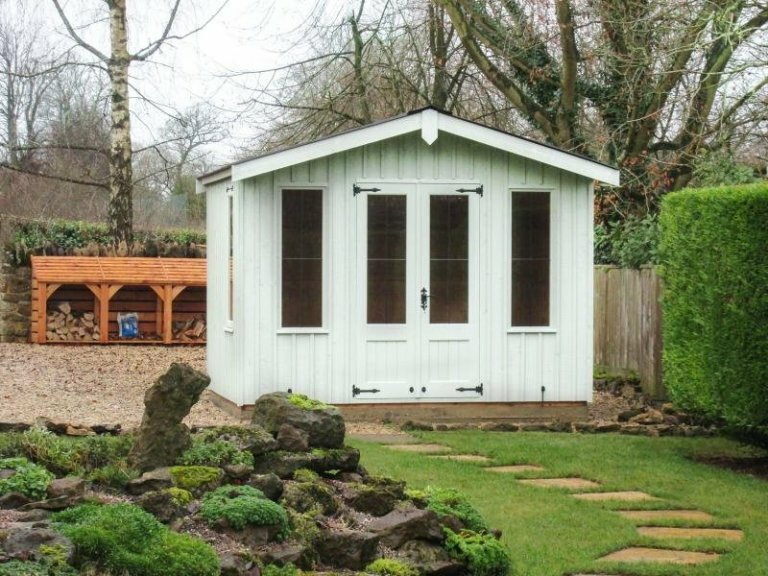 To allow the summerhouse to blend in with the garden nicely, the customer chose the paint colour Disraeli Green, which is one of the six colours you can choose from our National Trust paint range. 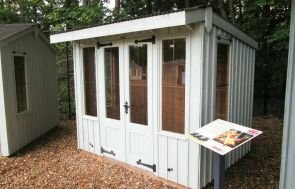 If you like the rustic, traditional style for a summerhouse, then the National Trust range may be the perfect choice for you. 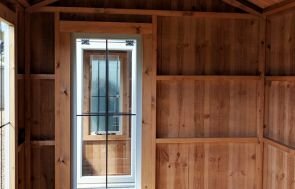 If you want a summerhouse for more than just summer use though, you may want to look at our own range of Summerhouses that you can have with lining and insulation. For more information, please call us on 01760 444229, or send us an online enquiry to ask any questions you may have.